Does it happen to you that you think of ordering in food, but after an hour into it you still can’t decide where to order from because all of them look the same to you? Well, as a customer it can be really tiresome. 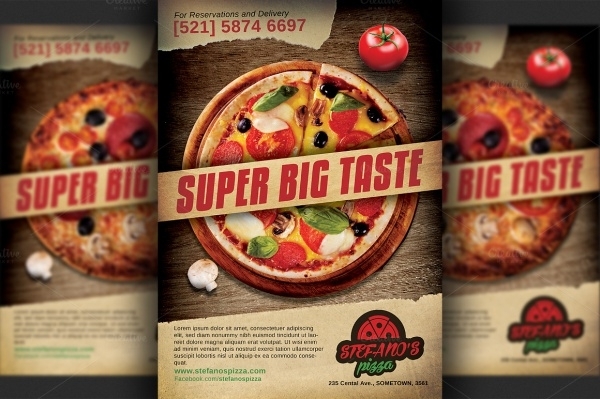 But here we are going to look into things from the perspective of a Retro Flyers design or a client looking for a design for their restaurant or food business. 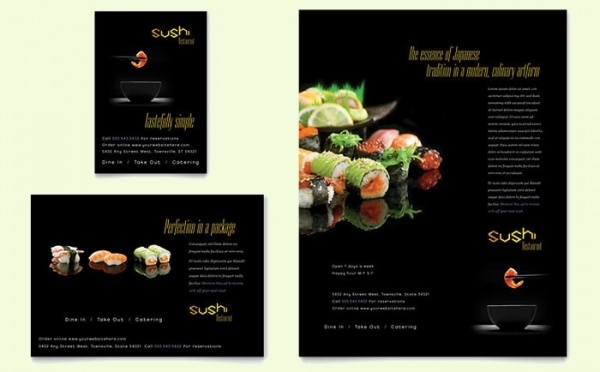 A good design is sometimes all you need to appeal to your customers and make your business grow. 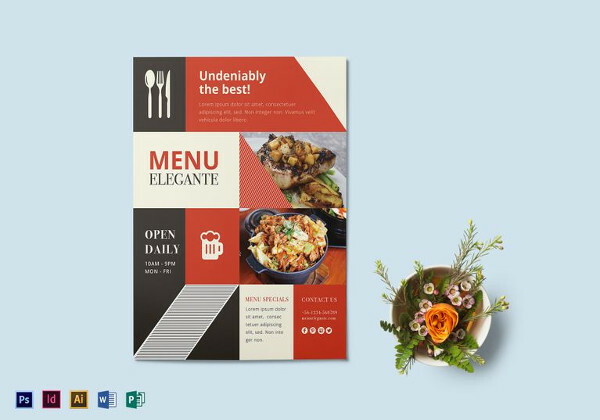 Catering to the food and beverage industry, it is really important that this design is flawless and professional; otherwise you can lose your customers to your competition. And no one likes that to happen. 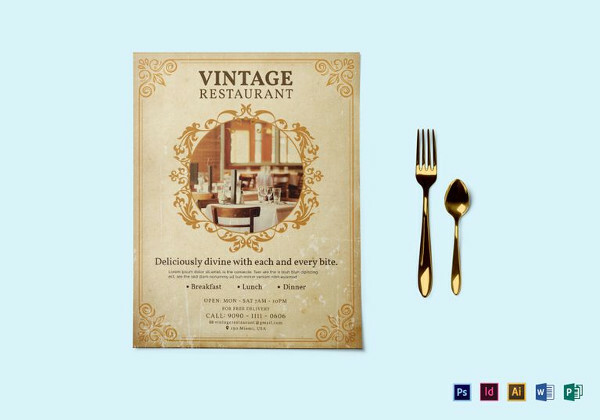 So here you can go through a list of some of the Vintage Flyers and leaflets mockups which any restaurant can use and distribute amongst the potential customers. All you need is a basic knowledge of smart objects and Adobe Creative Suite to get started. 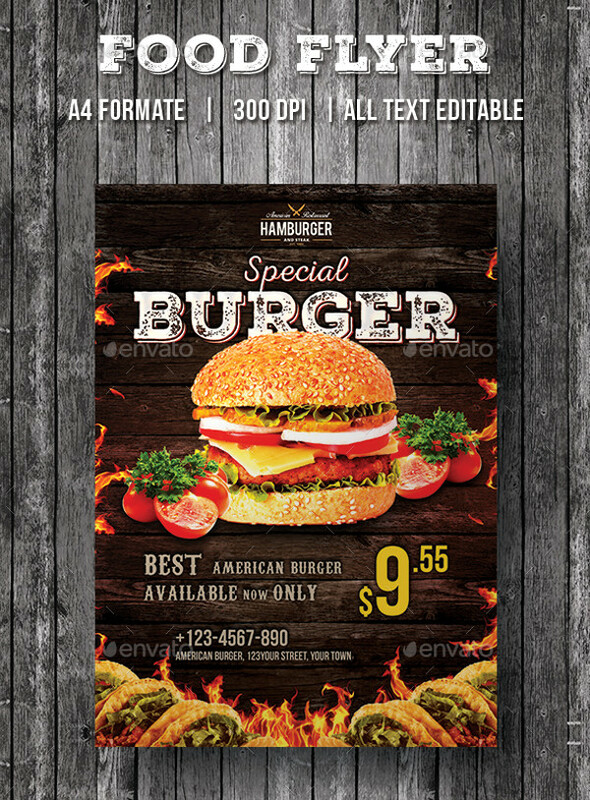 When designing a flyer for a fast food chain, it is really important to remember the saying, “less is more”. 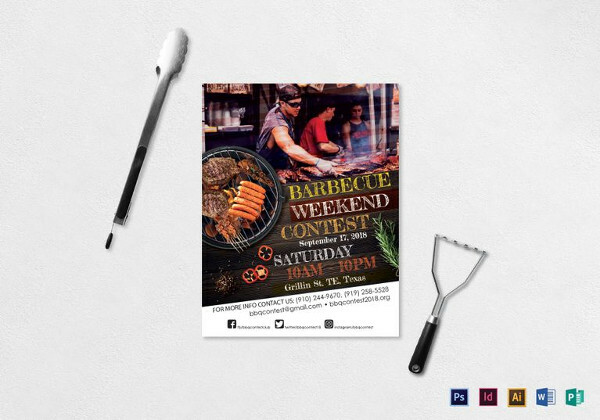 In this design, you can see how efficiently you can place just the basic content to create an amazing flyer. 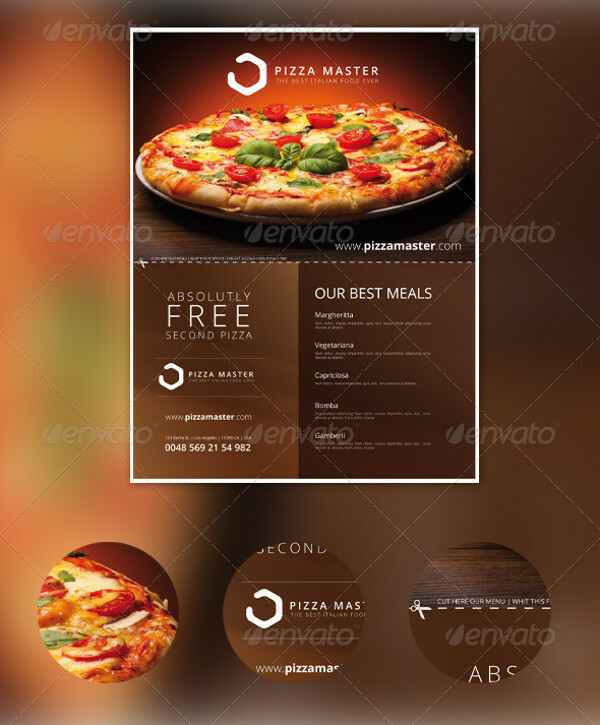 And if there are certain aspects you want to change in the design, you can easily download and edit it on your computer. 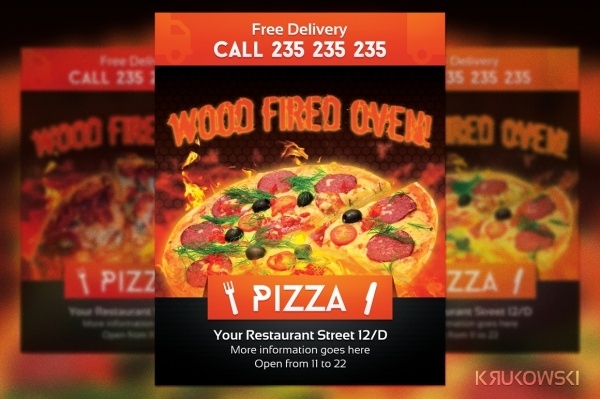 Check out this modern and attractive flyer template for a pizza restaurant. 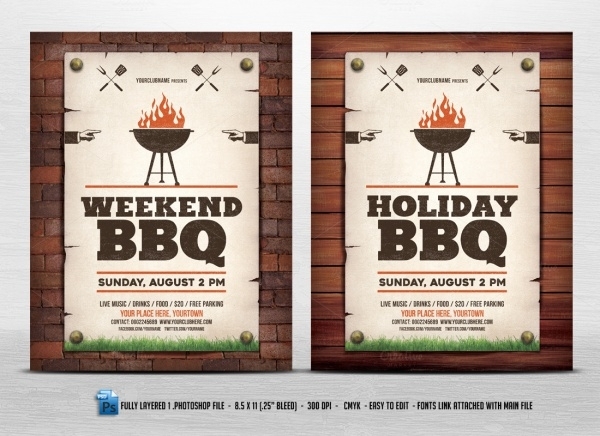 The download includes 4 designs on different sizes for you to choose from. 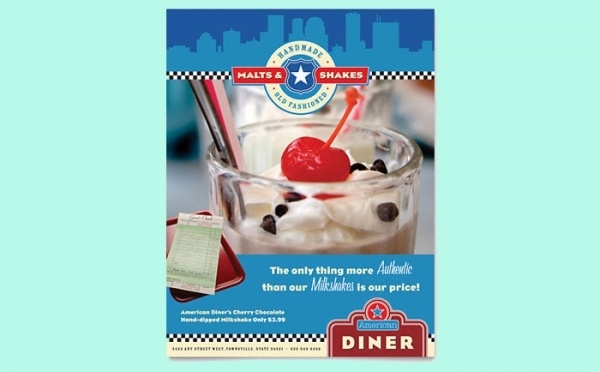 The design is in a resolution of 300 dpi, making it perfect for print purposes. 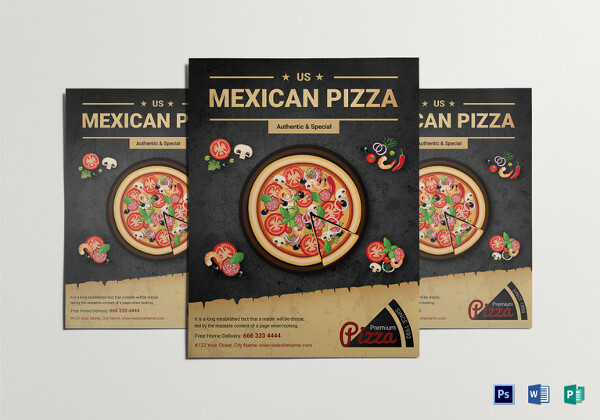 This is a completely customizable flyer template which gives you ample space for your logo and other contents. 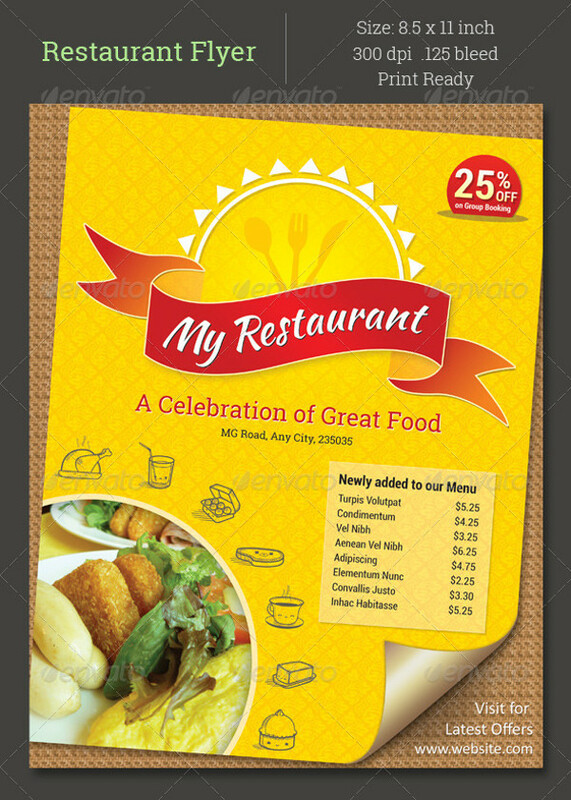 Available in the size of 6 x 8.5”, this design template comes in a high resolution. 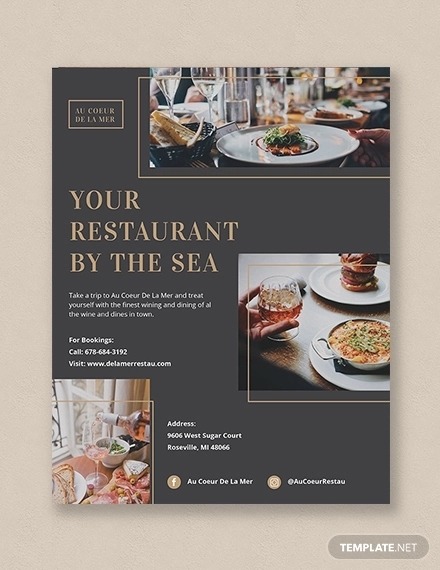 And if you are a client, then check out the link, and you can ask the designer itself to modify the template to suit your needs for a minimal fare. Any Mexican restaurant flyer must include red chilli pepper, some nice margaritas, and a definitive sombrero for the authenticity. 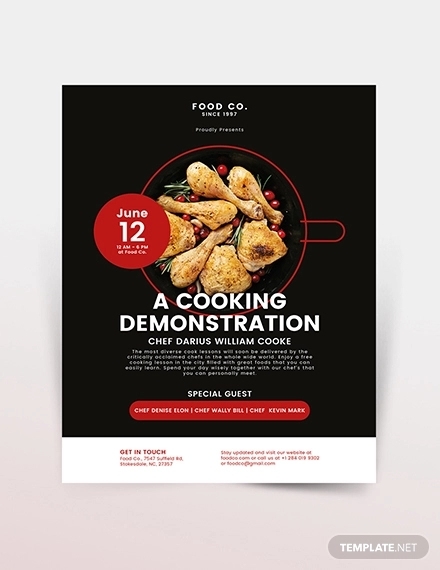 This flyer design is all about them. 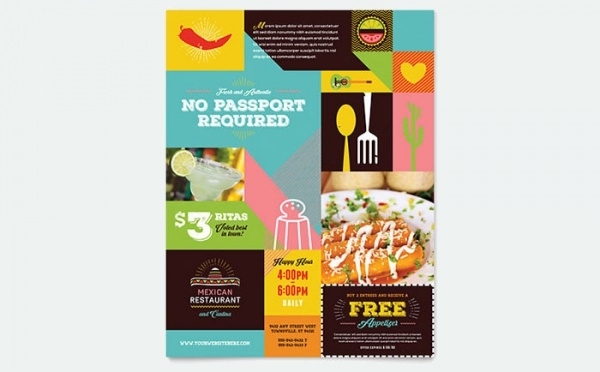 If you too are designing a flyer for a Mexican themed restaurant, then do check this colorful and elegant flyer design. 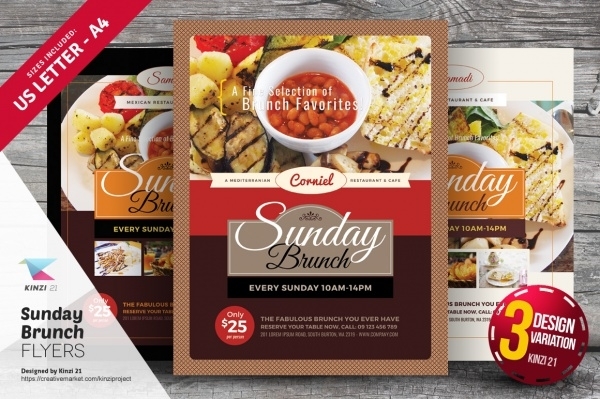 This flyer is an example of how you can easily attract customers with a simple and meaningful design. 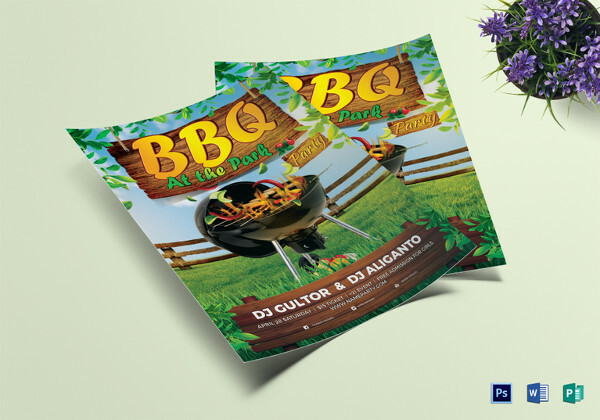 Available as a single leaflet, there are two sizes to pick from to download. If not that, you can just look at it for some inspiration for your own design. 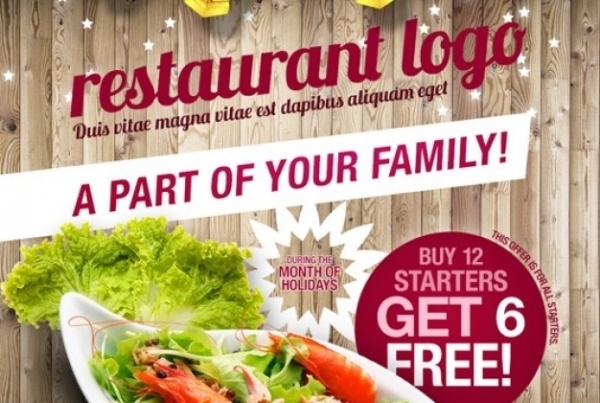 This free download from the below mentioned link is a true classic design. 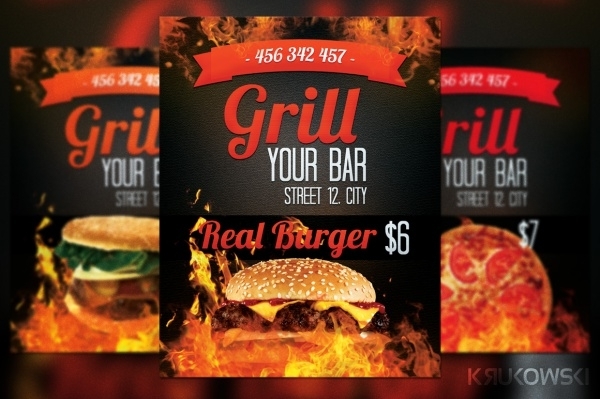 Available on FreePik, you can see how a great background makes the design exponentially better. 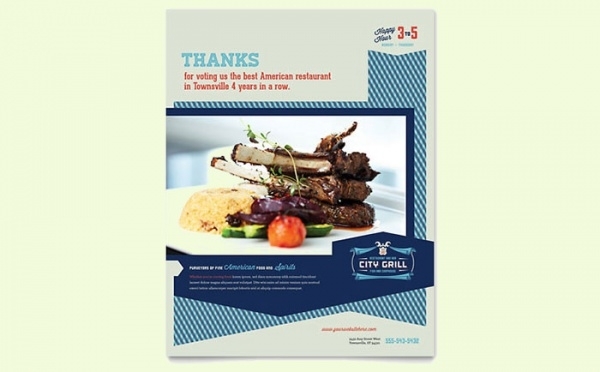 It also shows you how can effectively showcase the offers provided by the restaurant for different menus. 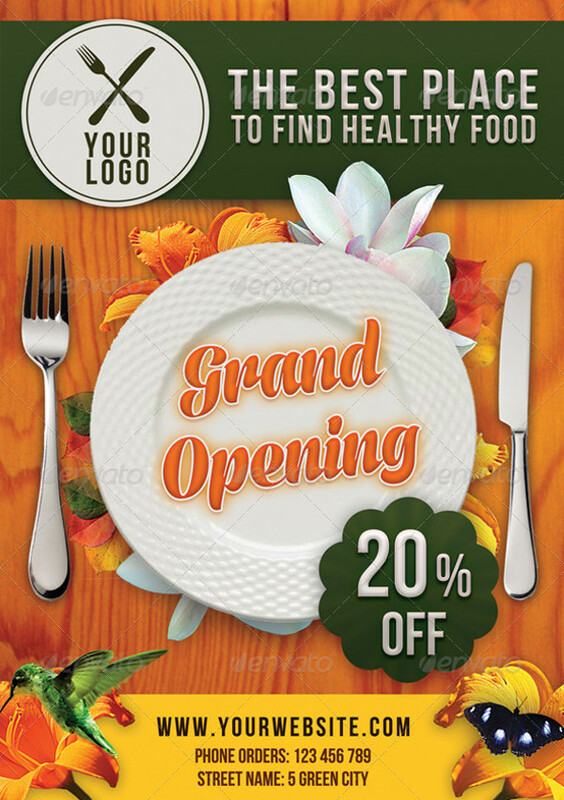 This is an advertisement flyer for a restaurant which is opening shortly. 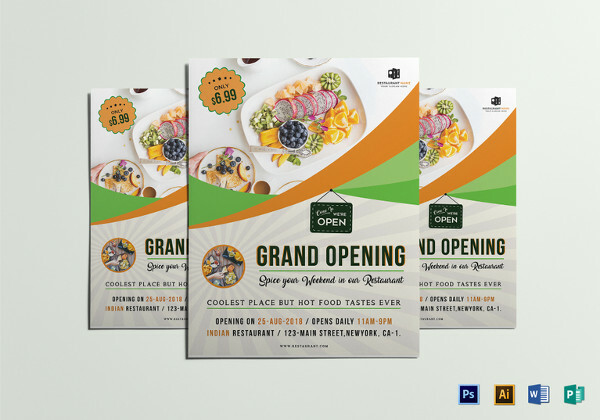 Download it from the given URL for a modest price of six dollars and distribute it via local newspaper and magazines to let people know about your restaurant and the opening day offers. 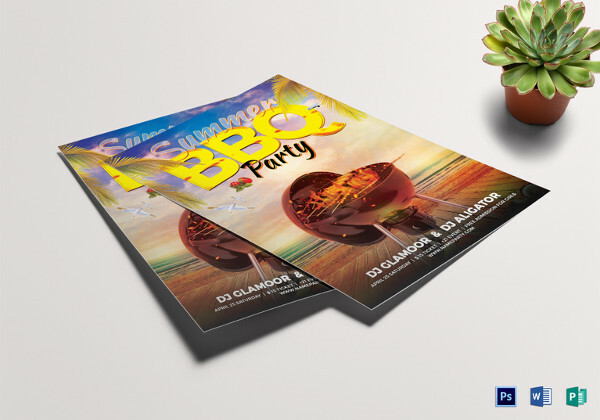 If you are planning to have a BBQ themed evening in your restaurant then make sure you check out this brilliant flyer design perfect to the theme. 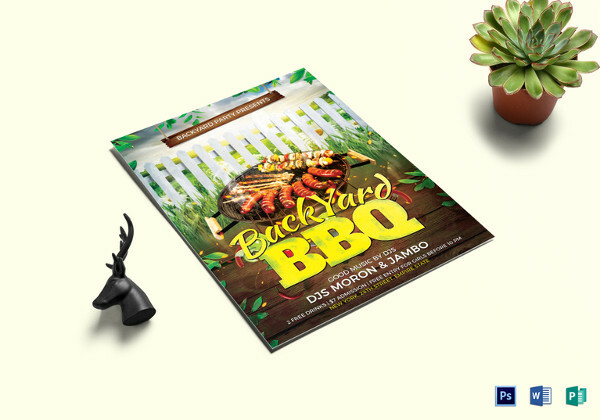 It comes in two different background variations for you to pick from to create a print ready design. 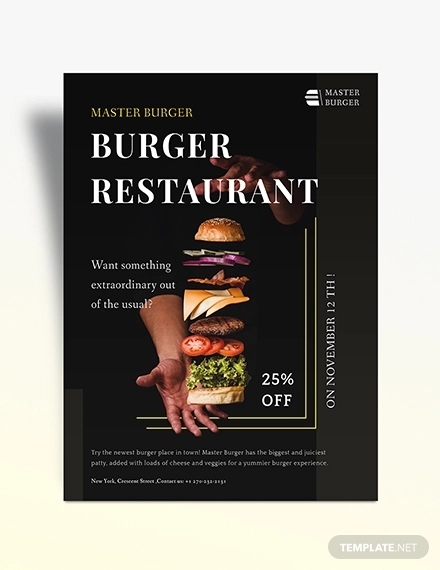 If you are having a special discount going on in your restaurant, then this is the perfect leaflet design which will efficiently showcase all the details you can hope for in a single design. 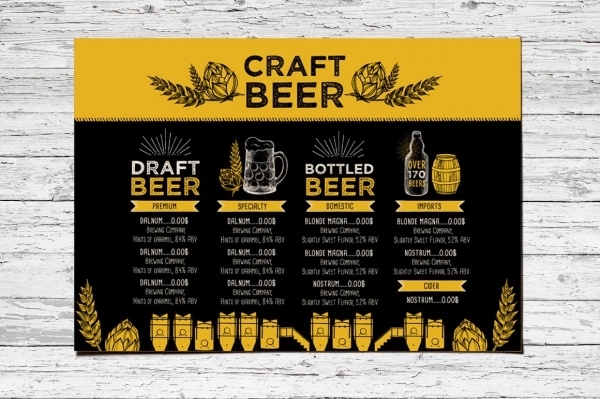 Make sure you check out the licensing terms before publishing the design for commercial use. Indian cuisine is famous for its curries and spices. 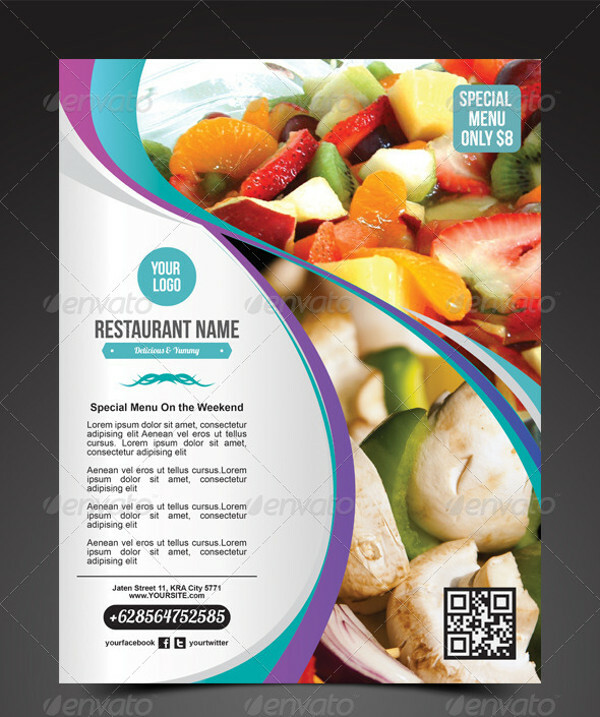 A flyer for the same should also be able to nicely deliver the essence of those spices across to the customers. 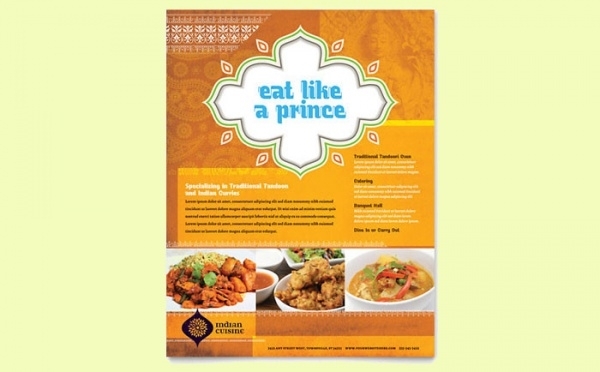 Clink on the link below to see the royalness of Indian cuisine on a flyer. 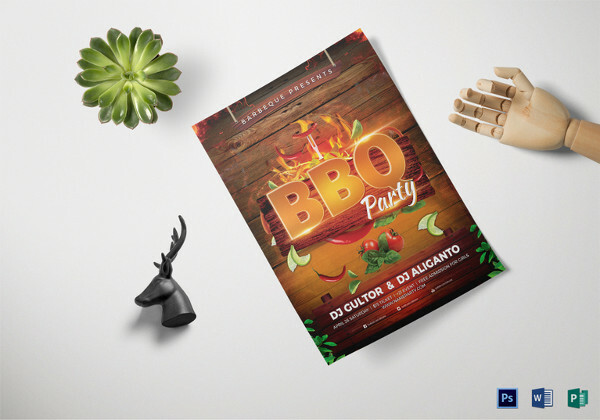 Use of these already available and customizable flyer templates and mockups will make your work as a designer really simple, saving you a lot of time. 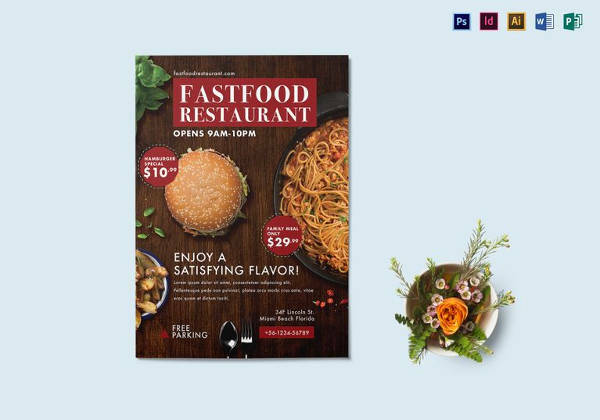 And if you yourself own a restaurant or a fast food joint, then it will even save you the designer’s fee who most probably will do your work through some other template. And even if you don’t use any of these, it doesn’t harm to look at them to find some inspiration or generate some ideas.